The Stuttgart International Festival of Animated Film, May 2011 presented a Visual Music supporting programme at the festival. CVM (Center for Visual Music) presented two historical programs of abstract animated films by Oskar Fischinger, including preserved prints and rarely-screened films. 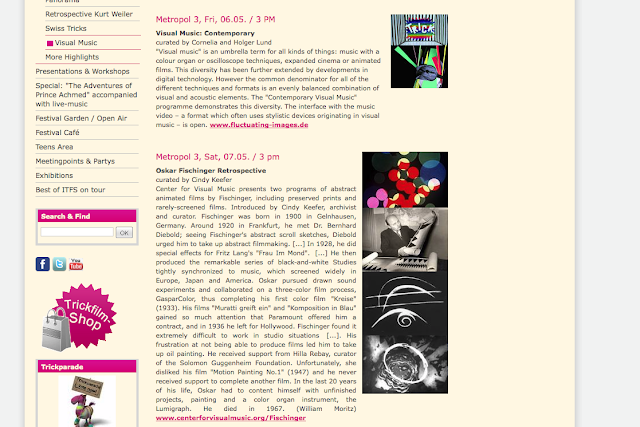 Title of Programme: Visual Music: Contemporary, May 8, 2011.